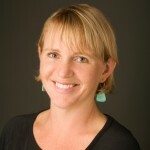 Amy Flory, PT, MPT, Owner – Amy received her Master’s degree in physical therapy in 1996 from NAU. She focused her practice immediately for people with pelvic floor disorders, dizziness, and for women during and following pregnancy. Amy opened CoreBalance Therapy LLC in 1999, and developed a strong interest in treatment for people with chronic pain and chronic pain conditions, such as Fibromyalgia Syndrome. 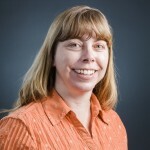 She serves as a guest lecturer for the physical therapy doctoral program at NAU. Outside of work, Amy enjoys gardening, painting and yoga, and going to Lake Powell with her family. Jay McCallum, PT, DPT, OCS, Owner – Jay is a physical therapist and co-owner of CoreBalance Therapy LLC. 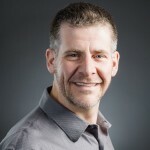 He completed his Master’s degree in physical therapy at NAU in 1996 and went on to complete a post-professional doctorate in physical therapy with a focus in manual therapy in 2004. He became a board certified specialist in orthopaedic physical therapy in 2005 and is one of only a handful of PTs in the Flagstaff area with that specialty certification. He also teaches seminar courses for students in NAU’s entry-level Doctorate of Physical Therapy program. His area of particular clinical interest, training, and teaching is in the management of both acute and chronic spine conditions. Recreationally, he enjoys traveling with his wife and daughter, hiking and cycling. Deborah L. Bodin PT, MPT – Deborah graduated from Northern Arizona University in 1993 with a Master’s degree in Physical Therapy. 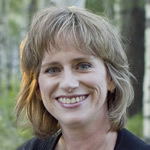 She has lived in Flagstaff for over 25 years and has worked in local outpatient clinics specializing in general orthopedics. Deborah is particularly interested in the relationship between posture and repetitive stress injuries of the arms, shoulders, and neck. Her experience also includes treating industrial injuries, upper extremity overuse, cervical injuries, pre- and post-operative hand injuries, and wound care. Deborah loves Flagstaff and is happy to be raising her family here. She enjoys reading, cooking, and attending her daughters’ school events. Cora Braun PT, DPT – After moving from Alaska, Cora received her BS in Kinesiology from Western Washington University in 2013. In search of more sunshine and higher education, she attended Northern Arizona University, completing her Doctor of Physical Therapy degree in 2016. She has developed special interests in Women’s Health and Vestibular therapy, and is a member of the American Physical Therapy Association and the Women’s Health section of the APTA. Cora is excited to stay in Flagstaff, where she enjoys rock climbing, biking, backpacking, and latin dancing. Colleen Gest, PT, DPT – Colleen received her BS in exercise science from NAU in 2006 and her doctorate degree in physical therapy from NAU in 2009. She has also undergone focused training in physical therapy treatment of pelvic floor disorders. Since 2009 Colleen has been at CoreBalance Therapy specializing in treatment of the pelvic floor as well as dizziness and chronic pain conditions. Colleen is especially interested in physical therapy treatment of women’s health issues concerning incontinence, chronic pelvic pain, and pre and post-partum care. She is a member of the American Physical Therapy Association and its Women’s Health Section, and is in the process of earning her board certification in Women’s Health Physical Therapy. Colleen also enjoys spending time with her husband and two daughters as well as dancing, crafting and hiking in the beautiful surrounding Flagstaff and Sedona areas. 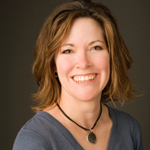 Holly Nester, PT, MPT – Holly graduated from Oakland University’s Master’s Program in Physical Therapy in 1994. After leaving Michigan, she worked across the U.S. as a traveling physical therapist before choosing Flagstaff as her home. Holly has attended over 40 continuing education courses emphasizing orthopedic and manual therapy skills. In 2002 she became certified by WorkWell Systems (formerly Isernhagen) to do Job Analysis, Post-offer screening, FCEs, and Work Rehabilitation. 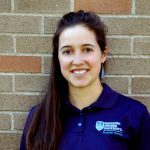 Holly is one of two physical therapists in Flagstaff certified in Graston technique (click here to read her blog on Graston). In 2002 Holly helped establish Personal Care Physical Therapy in Flagstaff, operating that clinic until 2013. Her expertise is on assisting local businesses in reducing Workers’ Compensation costs through development of early injury intervention programs, ergonomic assessments, employee training, post-offer screening for new hires, and return to work programs following an injury. Holly joined CoreBalance Therapy in August 2013. 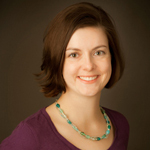 Katie Pierce PT, DPT – Katie received her BA in Exercise Science from Willamette University in 2005. Planning to become a Physical Therapist, she first joined the Teach For America program, moving to inner city New York to teach bilingual sixth grade. Katie thrived in the classroom, but felt her true passion to be health care. 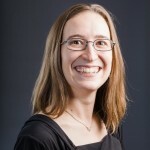 After completing her two-year commitment with TFA, she moved to Flagstaff, where she earned her Doctorate in Physical Therapy from Northern Arizona University in 2011. While a student at NAU, Katie was a research assistant for a study with stroke survivors, coached a youth running team, conducted fall risk screenings for older adults, and helped coordinate class community service projects. In honor of her commitment to public service she was awarded the Class of 2010 Professional Service Award. Through her clinical experiences, Katie has developed a passion for neurological and vestibular rehabilitation, and is skilled in working with people with a variety of neurological conditions. Katie speaks Spanish, y se siente emocionada de poder trabajar con los pacientes hispanohablantes de Flagstaff. Susan Enerson, OT – Sue is an occupational therapist with over 30 years of experience. 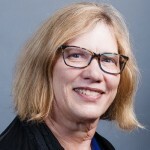 Sue has been specializing in evidence-based treatment of lymphedema–abnormal swelling most often associated with cancer treatment–and other chronic edema (swelling) problems since 1998. She is certified by the Lymphology Association of North America (LANA). Sue also has many years’ experience working in physical rehabilitation: maximizing return of self-care and independence with stroke, neurological conditions, injuries, etc. She is certified in Neuro-developmental treatment (NDT). Sue enjoys spending time with her husband and son, exploring northern Arizona and going on road trips. She likes fiber arts and dabbles in lots of projects in her sewing and loom room. Sue finds great pleasure in helping others to feel better and do more for themselves. 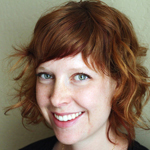 Jessica Williams, LMT – Jessica became a licensed massage therapist in 2009. She has lived in Flagstaff for over 3 years. She loves practicing massage and could not imagine doing anything else. She is particularly interested in working with women and especially pre and postnatal clients. She has also trained in Chi Nei Tsang, a form of abdominal massage. She acknowledges the connection between the physical and emotional while doing massage. Jessica has three young boys so when she is not working, most of her time is spent being a mom. She also loves being out doors, hiking, playing in the snow, knitting, cooking and relaxing with her husband at the end of the day.